Right up there with all dramas being touted as ‘the next Downton Abbey‘ these days, there seems to be endless interest in Sir Arthur Conan Doyle and his alter-ego creation, Sherlock Holmes. 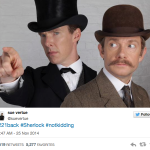 Ever since co-creators/writers Steven Moffat and Mark Gatiss so brilliantly brought the world’s most famous consulting detective, Sherlock Holmes, to life in the 21st Century in Sherlock it seems everyone is searching for the ‘next Sherlock‘ or some variation of a theme. First it was CBS’ Elementary series with their own take on a present-day consulting detective with a female Dr. Watson (Lucy Liu). More recently, ITV premiered Arthur & George, starring everyone’s favorite cranky GP, Martin Clunes, as Sir Arthur Conan Doyle. 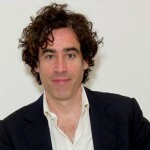 Next up in the Sir Arthur Conan Doyle/Sherlock Holmes sweepstakes comes Houdini & Doyle starring Stephen Mangan (Green Wing, Dirk Gently, Episodes) as Conan Doyle and Michael Weston (House, Six Feet Under) as master escape artist, Harry Houdini. The 10-part series, airing on Fox beginning in May, will dig deep into the writer’s strained friendship with Houdini, much of which centered around each others belief and non-belief in the paranormal. It’s high-minded and sometimes petty, but it works. Harry Houdini knows there is nothing supernatural about magic. As a professional magician, escape artist, master of illusion, and the highest paid performer in the world, Houdini believes everything unexplained is either a trick, a gimmick, or a fraud and, therefore, there is no such thing as the supernatural. He refuses to believe in the paranormal. 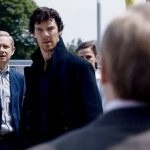 Conan Doyle is a passionate believer in the paranormal and, having lost someone very close to him, he desperately wants to find a way of communicating with them so the idea of the possibility of the existence of the supernatural/paranormal keeps that door open. 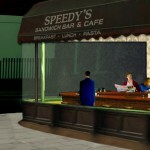 Tasked with cases that no one else can solve (surprise! 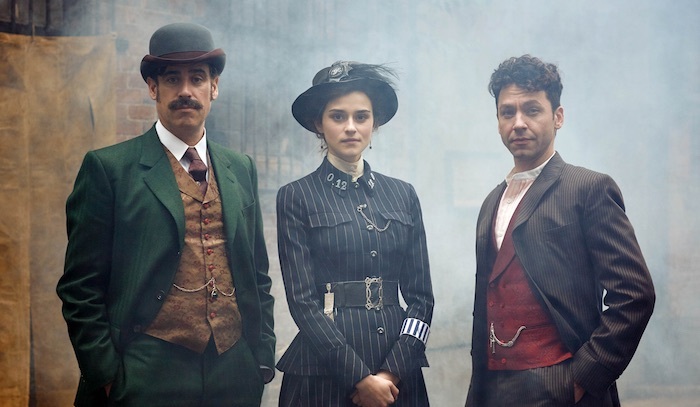 ), Houdini and Doyle must reluctantly join forces with New Scotland Yard to investigate unsolved, inexplicable and possibly supernatural crimes, alongside the first female Constable of the London Metropolitan Police Force, Adelaide Stratton, played by Rebecca Liddiard (Man Seeking Woman), who is put in the middle of skepticism vs. belief in the unseen. Houdini & Doyle was created and executive produced by House creator, David Shore. 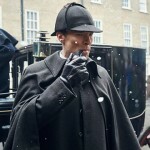 According to the producers, the drama will also draw on what the production team claim to be historically documented instances of the Metropolitan Police and Scotland Yard turning to Houdini and Doyle to help tackle “unsolved and inexplicable crimes”. This actually sounds like a pretty fascinating take on two pretty iconic early 20th Century individuals that isn’t widely known so I applaud the effort of not just trying to capitalize on an existing franchise. Houdini & Doyle premieres Monday, May 2 at 9pET/8pCT on Fox.